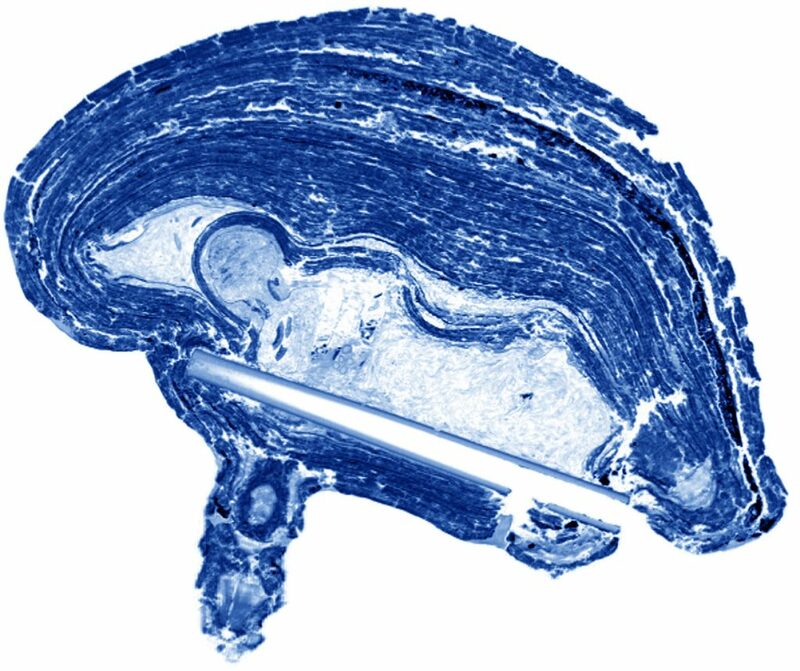 A CT scan of the “boli” from 2012 shows the doll hidden inside. At first I thought, with some worry, that I was to be given to the child. The girl watched with impatience as I was formed, appendages of bamboo wrapped in cloth until I resembled a crude doll of a man. We, myself and the girl, discovered at the same time that I was to be a boli instead. I was relieved, the girl was not, and the story of her loss of the doll would become one she’d laugh about when she graduated youth. A powerful man encased me in a wooden womb—a reverse birth—and paired with horns and metal I became a core of power, a well an entire village will wish into. I did not anticipate the sensation of the first sacrifice, the wet, uncomfortable warmth of the first layer of blood and sacred dirt. A warmth that increased with every sacred word the man uttered until I felt like a being set on fire. Over the years, I have done my duty as living altar and absorbed the ill will meant for my people. I am the famine that didn’t happen, the invasion that didn’t succeed. And all the things I am not obscure what I am: lonely. If I had known how it would be, a life spent smothered in power and blood, I might have consented to be toy to a child, eventually abandoned, but at least held for a while. 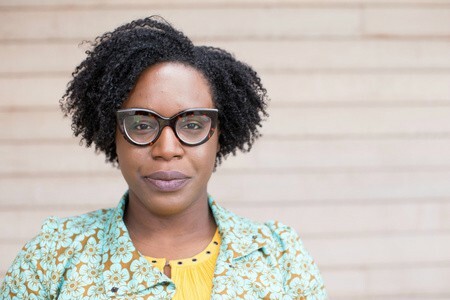 Lesley Nneka Arimah is the author of What it Means When a Man Falls from the Sky (Riverhead Books), named one of the most anticipated books of 2017 by Time magazine, Buzzfeed, Elle, the Chicago Tribune, and other media. The story collection includes “Who Will Greet You At Home,” about a woman so desperate for a child that she weaves one out of hair, which was a National Magazine Award finalist when it was published in The New Yorker. The book is now on sale in The Store at Mia. Born in the United Kingdom, Arimah grew up wherever her father was stationed for work, which was sometimes Nigeria, sometimes not. She now lives in the Twin Cities. Top photo: The “boli” is a kind of shrine built by the Bamana people of West Africa around a cloth doll and covered by mud, blood, and other organic substances during rituals. You can see it at Mia in gallery G250.